Create a strong single voice and channel of communication for the Redhill business community. Bring forward community events for the benefit of businesses and residents of Redhill. 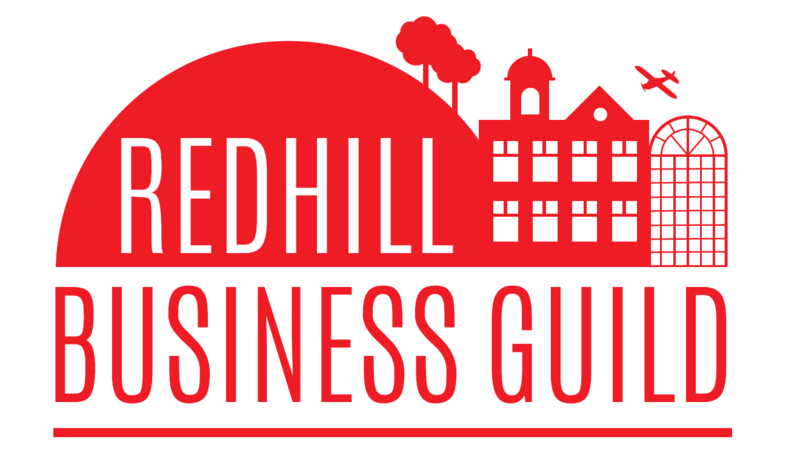 Promote Redhill as a place to do business, to live and be part of an inclusive community. Our fees for annual membership are priced at £50 per organisation. All revenue generated from membership fees is used by the Guild to fund initiatives that deliver our objectives. Our meetings are usually held on 1st Wednesday of every other month from 5:30pm until 7:30pm. The format is informal networking for the first and last 30 minutes with the formal meeting proceedings beginning at 6:00pm sharp-ish. We welcome any of our members to attend the meeting and encourage non-members who are considering joining to come along to see what it is all about and speak to some existing members to get an honest view of the Guild. Why come along and who will be there? If you’re considering joining, you may be thinking right now ‘what’s the benefit to my business?’. Well, at Redhill Business Guild we believe that action begets results. Redhill regeneration schemes are well underway giving the town centre a new lease of life, but regeneration is not enough if this doesn’t translate to more customers walking through your door or contacting you. Collectively our aim is to raise the profile of Redhill as a place to live, work and shop by implementing local schemes that achieve this. In doing so, Guild businesses should; be exposed to more customers, access a greater pool of job seekers and develop local businesses contacts. The Guild has a wide variety of members from independent traders to community groups to some of Redhill’s largest employers. Collectively our members share a common goal of supporting and enhancing the town as a place to live, work and shop. We welcome any business or organisation who has a passion to see Redhill prosper and wants to play an active role in bringing this to fruition. This is your chance to share your ideas for improving Redhill and watch them come to life.